As another year dashes towards Christmas with the speed of Santa’s reindeer we would like to stop for a minute to think about all of you, our donors, from around the world. JJH continues to thrive because of your generosity. Not only are we grateful for the financial help but also for the spirit in which it is given. We take great comfort and strength knowing how much you support Molly and Neels Bam and their faith, as they continue to provide for the neediest in our communities. We are also fortunate to receive donations of all sorts at different times including clothes, food, toiletries, bedding, library books, school stationery and a number of structural improvements in the homes and in the garden. 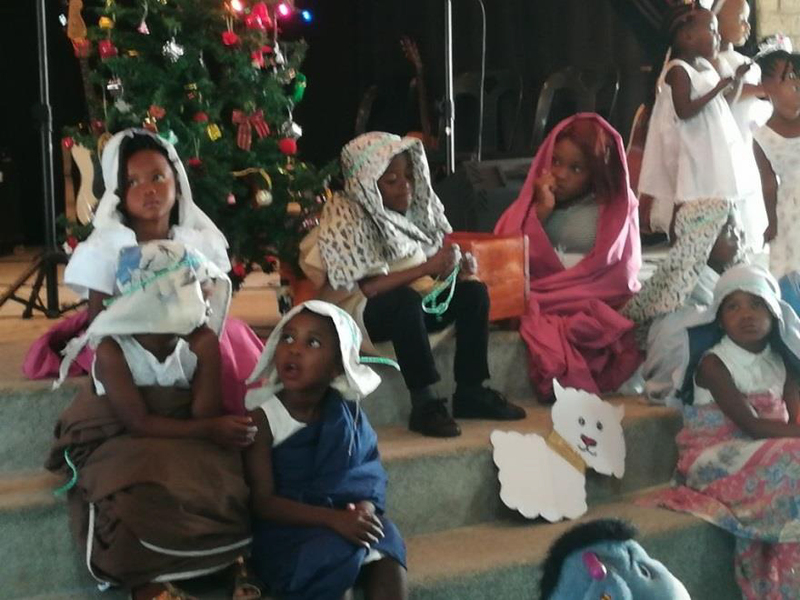 This is not an easy venture and so we also thank others at the home who help with the children – Candice and Kassie, Jennilee, Pumla, Taryn, the house staff and especially Nyrocco who runs the preschool, the homework centre and helps enormously with the management of the home. We are happy to have had visits from willing volunteers – some for a few days and others for weeks. We know you are sometimes met with great challenges but we hope that the joy you bring to the children is evident and some reward for giving time to this calling. The afternoon homework centre is proving a great success. Nyrocco, with the help of Taryn and Pumla, runs a pretty tight ship. Chidren’s attendance is recorded and their homework is supervised. Those who proved to be diligent attendees were sponsored to a day’s outing to the nearby Addo Elephant Park. It was a lovely treat for all who were able to go. A small library has been developed for those who have no homework as we try to encourage them to read. We were shocked to discover that there are some learners who despite the grade they’re in are unable to read and we are looking at finding programmes to address this situation. 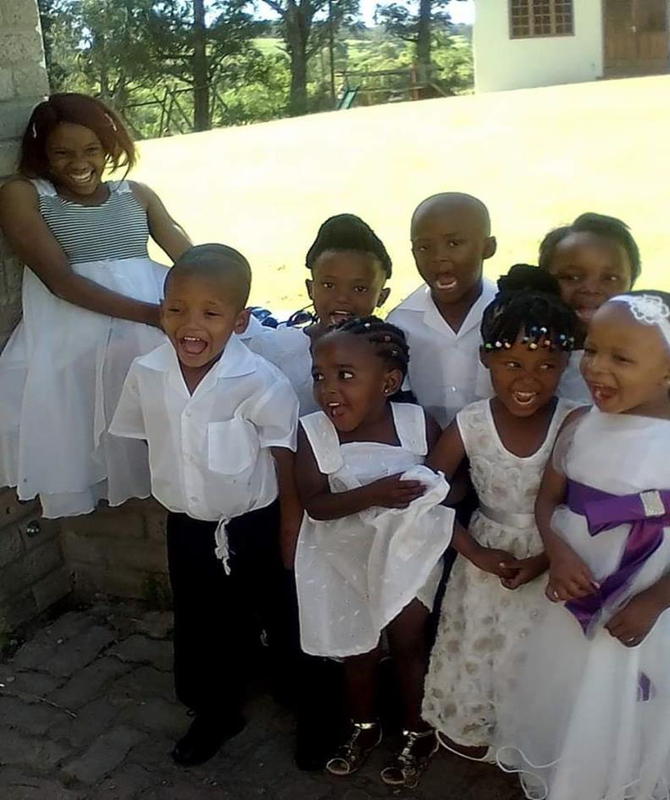 The year has again seen us battling with the Department of Social Development regarding the registration of the home and the issuing of birth certificates to some of the foster children who were abandoned at birth. We continue to have to defend reunifying children with family members where we are not satisfied it is in the best interests of the child. This has meant spending hours in the Alexandria court rooms. We have been blessed with the help of a local attorney who shares our compassion for these children. Two local friends who are young enough to find social media easy to administer are keeping our web page up to date. Please check it out when you have time: www.jjhaven.org.za. We hope you have all had a good year and our northern hemisphere friends are coping with the big freeze. We look forward to the New Year and hopefully more visits from all of you. We are always happy for you to see the progress at the home and to share the love. From the Board, the carers and all the little people at Jehovah Jireh Haven.